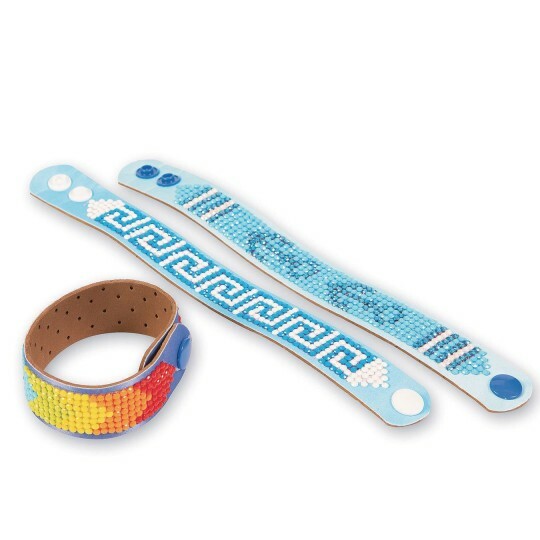 Create bracelets using Diamond Dotz® Diamond Embroidery™ facet art kits, which produce a stunning shimmer effect. 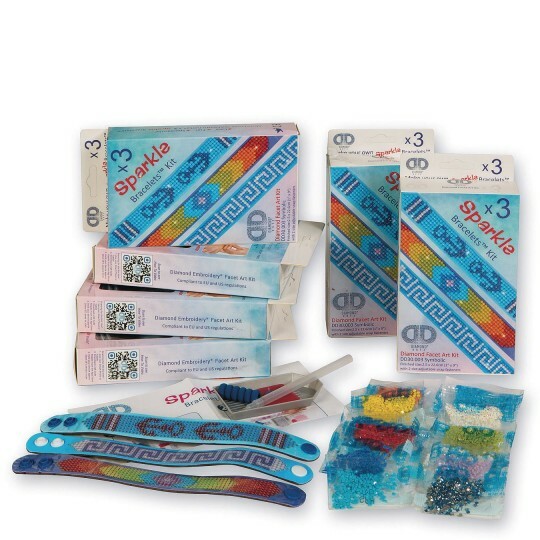 Pack makes 18 bracelets, 6 each of 3 designs and includes 6 styluses, bead trays, wax, Diamond Dotz®, and instructions. Easy to use with beautiful results!